My Highly Caffeinated Thought: A delightful and witty read that takes its inspiration from Austen’s storytelling, but makes it modern and fresh. 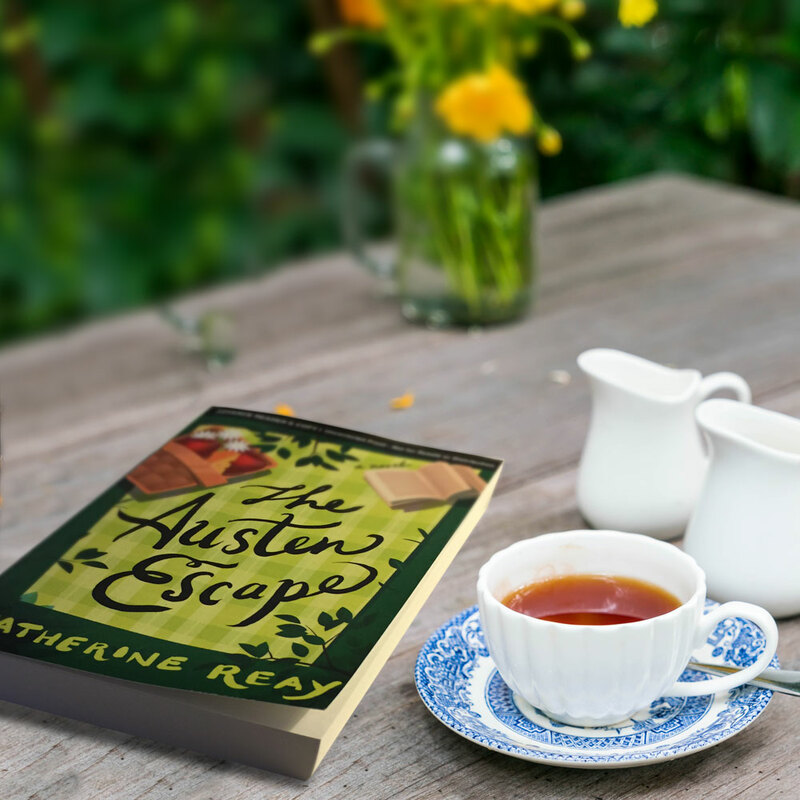 THE AUSTEN ESCAPE is just that. It is an escape for readers to enter Mary’s world for just a little bit of time. The book is a purely enjoyable read filled with wit, sincerity, and a hint of romance. The charm of this book is that the story isn’t a retelling of an Austen novel. It surrounds characters that are lovers of Jane Austen’s books. The references are sprinkled throughout, but Mary truly has her own path to follow. The way that Reay beautifully unveils her story is both eloquent and entertaining. It honors the style and energy of an Austen novel, all the while making it a truly contemporary novel. This is the fourth book that I have read by the author and I absolutely love all of them. Janeites, this book is definitely for you. Reviewer Disclaimer: I received an ARC of this book from the publisher and TLC Book Tours in exchange for an honest review. About the Author: Katherine Reay is a writer, wife, mom, continually rehabbing runner, compulsive vacuumist and a horrific navigator… She graduated from Northwestern University and earned an MS in Marketing from Northwestern as well. She then worked in marketing and development before returning to graduate school for a Masters of Theological Studies. Moves to Texas, England, Ireland and Washington left that degree unfinished as Katherine spent her time unpacking, raising kids, volunteering, writing, and exploring new storylines and new cities. The Reay family (with a great sense of permanency) now resides outside Chicago, and Katherine pursues writing with more focus. She writes character-driven stories and non-fiction that focuses upon examining the past and how it influences our present experiences.